As of July 2014, the ongoing Ebola virus epidemic in West Africa holds the record for being the worst outbreak in the recorded history of the virus. The outbreak – which has affected the countries of Guinea, Liberia, and Sierra Leone – now has more than a thousand cases, in which more than half of those are confirmed. Infections of Ebola virus cause a viral hemorrhagic (bleeding) fever officially known as Ebola hemorrhagic fever or Ebola virus disease, a deadly disease with a fatality rate of up to 90%. Though more concentrated in parts of Africa, history shows that cases of infection have popped up in other countries as well, particularly here in the Philippines. Here are few things that you need to know about Ebola virus and the disease that it causes. 1. Ebola outbreaks commonly occur in Central and West Africa. Ebola was first detected in 1976 during simultaneous outbreaks that occurred in Nzara, Sudan, and Yambuku in the Democratic Republic of Congo. 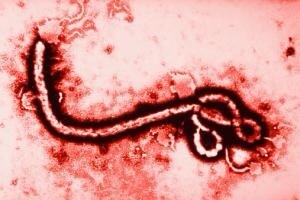 The virus received its name from the Ebola River found in the Democratic Republic of Congo. In the past 38 years, major outbreaks of the virus happened 6 times in the Democratic Republic of Congo, 3 times in South Sudan, 4 times in Gabon, Uganda, and the Republic of Congo, and once in Cote d’Ivoire and South Africa. The recent 2014 Ebola outbreaks are also in West African countries. 2. Ebola cases have also occurred in countries outside Africa, including the Philippines. One case of human Ebola virus infection was recorded in the UK in 1976 after a laboratory accident. In 1989, 1990, and 1996, the virus was detected in primate facilities in the Philippines that exported monkeys all over the globe, leading to 3 cases of viral infection among humans. In the same three years, monkeys exported from said facilities introduced the virus in the USA, causing 4 cases of human infection.